Najee | Najee's Theme - TheUrbanMusicScene.com | Music Reviews! It is hard to fathom that thirty years have passed since the single “Najee’s Theme” and the supporting album blazed the R&B and jazz charts, which for a debut recording was a remarkable accomplishment in itself. Thanks to a series of demos through New York session work, Najee already had material at his disposal, along with a decent budget from Capital/EMI – a sweet package deal that eventually resulted in his first platinum record. While the woodwind extraordinaire was establishing critical acclaim, Najee’s Theme generated several hit singles, including the Grammy nominated title track and his rendition of Anita Baker’s trademark luscious mid-tempo ballad, “Sweet Love.” This more than satisfying career for Najee has encompassed memorable collaborations such as Stanley Clarke, Will Downing and Freddie Jackson, along with seventeen solo projects. As part of the Back in the Day experience for T.U.M.S., let us revisit this R&B-accented jazz classic, celebrating its 30th Anniversary. 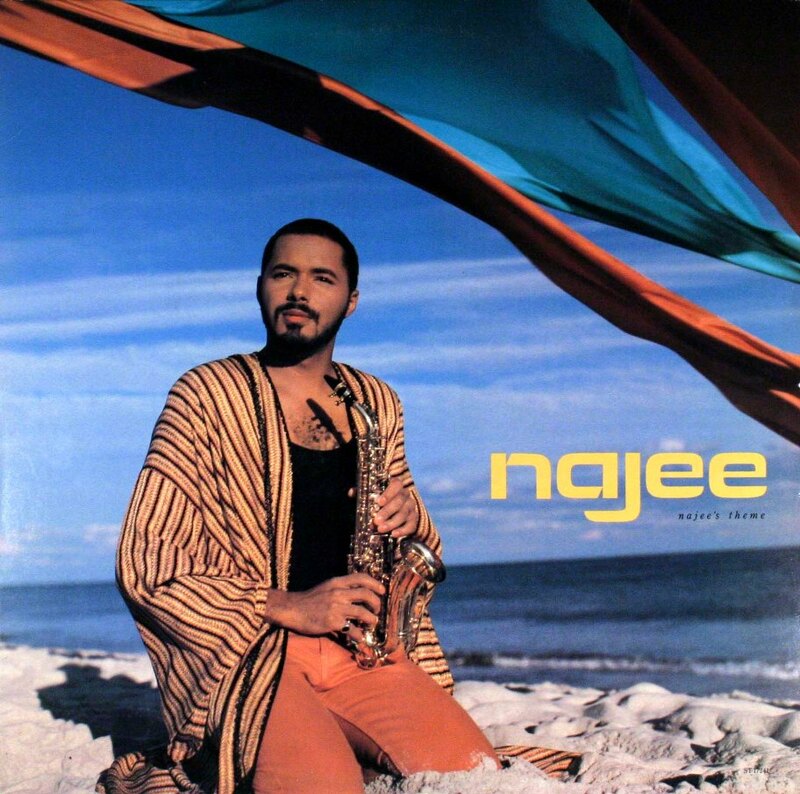 For practical purposes, Najee’s intention was to emphasize more of an R&B flavor for Najee’s Theme, though he carries his extensive jazz training during his improvisational turns. While the grooves are sometimes a bit mechanical, Najee’s fluid and raw saxophone seizes most of the attention. “Feels So Good To Me,” “Betcha Don’t Know” and “We’re Still Family” echoes those synth driven funk grooves that ruled the eighties. The later features lead voice John White, percolating percussion and Najee’s high energy tenor sax. Bringing the tempo down, “For The Love Of You” spotlights Najee’s sweet soulful side, backed by very appealing background vocal hooks, keyboard sprinklings and occasional popping bass guitar. Though most of Najee’s Theme leans on original material, the two cover pieces stand out even further. The Top 10 R&B hit for Earth Wind and Fire, “Can’t Hide Love,” presents an opportunity for Najee to shine on one of the few ballads in a more organic environment with live drums by Omar Hakim. The complex background vocal arrangement further enhances the romantic mood. “Sweet Love” rarely strays from the original Anita Baker version but Rahni Song’s orchestrations provide Najee opportunity to let loose with his soprano sax flurries. Finally, the crème de la crème in the title track, written and produced by Song, flows naturally between the soft percussive funk cushion and Najee’s smooth bluesy tenor. Considering again the content was primarily from a stack of demos, Najee picked out some gems that an old school R&B or jazz devotee could appreciate. Happy 30th Anniversary to Najee’s Theme. Four and a half out of five stars.